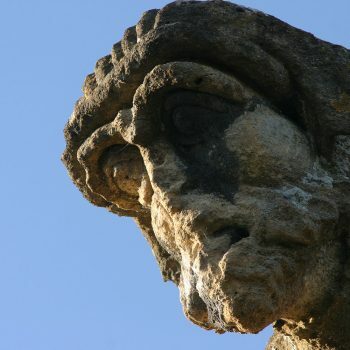 Winchcombe has been ‘the’ place to live for thousands of years! 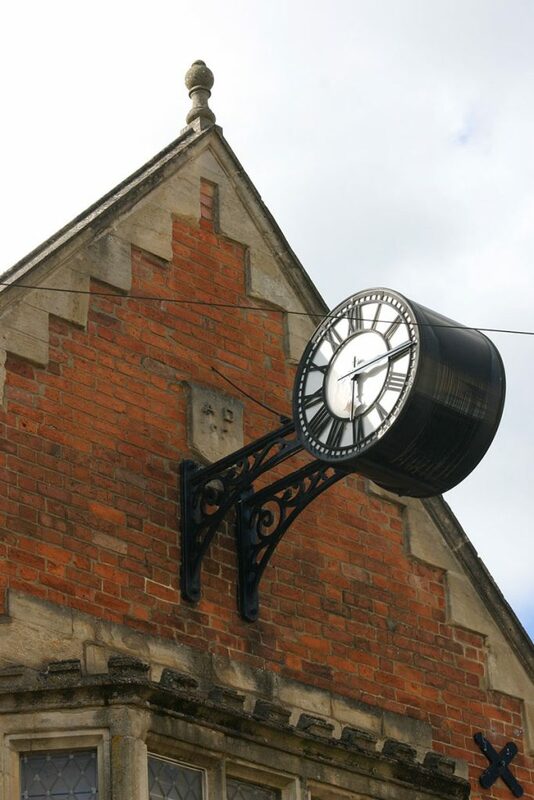 People chose Winchcombe as their favourite place to settle as far back as 3000 BC – and once you visit our charming town surrounded by beautiful Cotswold countryside, you’ll know why! 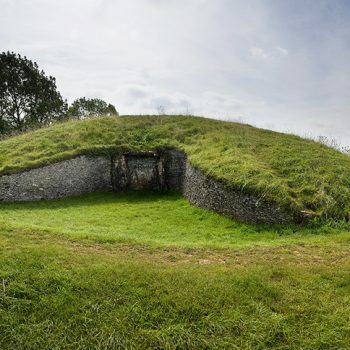 Winchcombe’s story begins back in the Neolithic period when people settled in our hills leaving a stone-lined, burial chamber – the Belas Knap long barrow. In Saxon times Winchcombe was a royal centre favoured by the kings of Mercia, then in the Middle Ages it became a pilgrimage centre and thriving wool town. The Victorian era saw its expansion with a Town Hall, churches, a grammar school and more housing. As you wander around our historic town look out for our black and white wall plaques that give brief details on the names, details and origins of some of our oldest streets and lanes. People had settled in the hills around Winchcombe at least as far back as 3000 BC. We know this because archaeologists have found pottery of this date in the area and because of Belas Knap, the striking chambered long barrow set at about 950 feet above sea level, to the south of the town. Belas Knap was excavated in the late nineteenth century and again in 1928-30, when 38 skeletons were discovered. After the second excavation, the barrow was restored. With its drystone retaining walls, stone-lined burial chambers, and fine false entrance at the northern end, it is probably the best surviving example of this type of Neolithic long barrow. There is little archaeological evidence for early or middle Bronze Age settlement in this area, but by the later Bronze Age, around 1000 BC, and the Iron Age, which started soon after this date, there is more activity. Hilltop enclosures such as the one on Nottingham Hill, next to Cleeve Hill, a couple of miles from the town, date to the early Iron Age (from around 800 BC). So there were probably people living in the hills around Winchcombe when the Romans arrived. 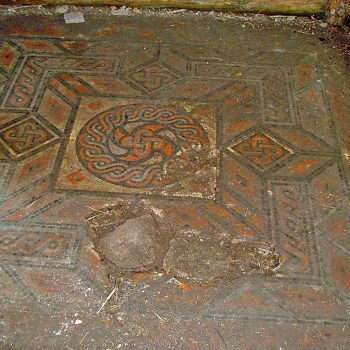 There are several Roman sites near Winchcombe. The hills to the south contain two villa sites, and finds in and near the town suggest that there was almost certainly some sort of settlement in the valley. 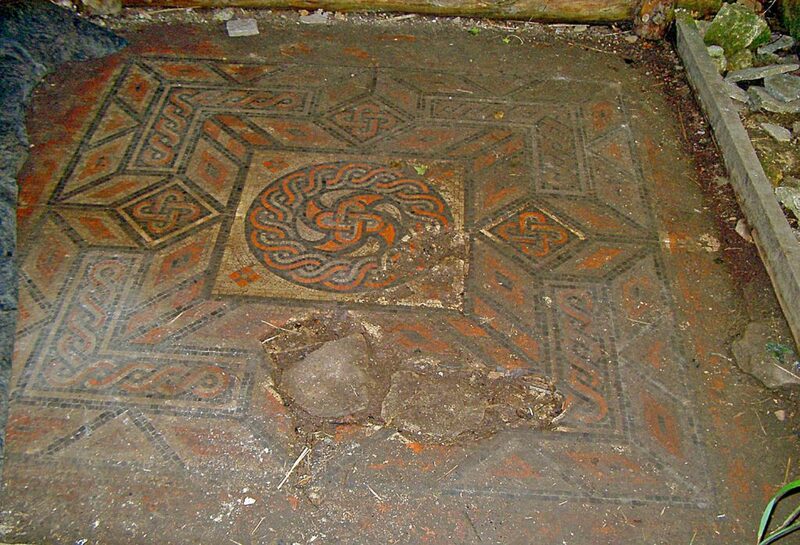 An excavation at Almsbury revealed the remains of what was probably a Roman farmstead a stone’s throw from the town. Winchcombe was probably a minor settlement during the Roman period – either a farming community or a village that was here because of the river. Winchcombe’s fortunes changed dramatically in the Saxon period. By the early eighth century, the place had become, for reasons that aren’t entirely clear, a major royal centre of the sub-kingdom of the Hwicce, a people who owed allegiance to the kings of Mercia. King Offa of Mercia is said to have founded a nunnery here in the eighth century. By 811 it was rebuilt and dedicated to St Mary. Later still, in about 972, it was refounded as a Benedictine abbey. 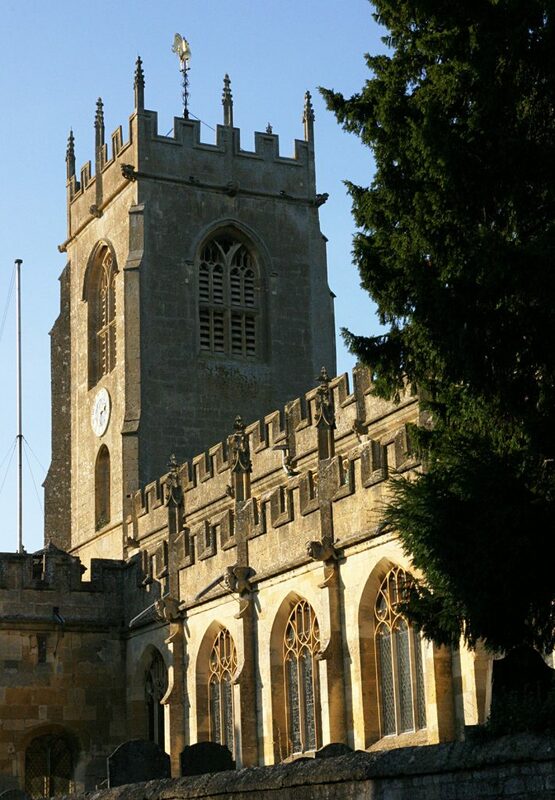 The Abbey was in the grounds to the east end of St Peter’s Church and many pilgrims visited St. Kenelm’s tomb in the early middle ages making Winchcombe Abbey very rich. 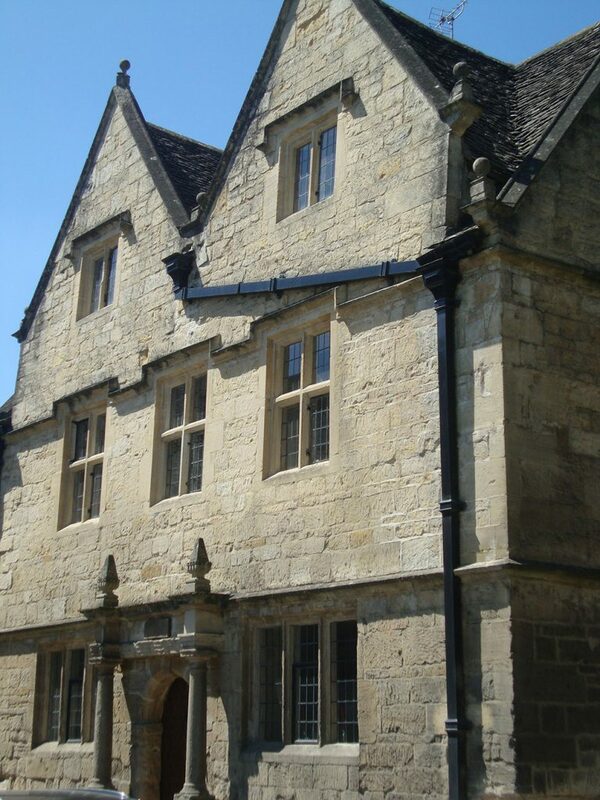 In its heyday, Winchcombe Abbey owned 25,300 acres (102 km²) in 13 parishes. 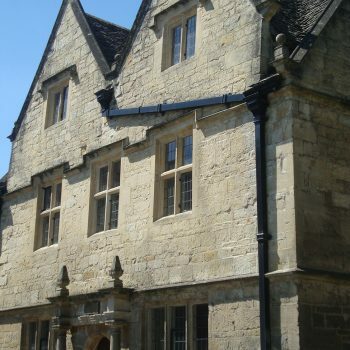 Snowshill Manor was owned by Winchcombe Abbey from 821 until the Dissolution of the Monasteries in 1539. Winchcombe was still growing in importance and in 1007 it became the centre of its own county, Winchcombeshire, which lasted a mere ten years before being absorbed into Gloucestershire. 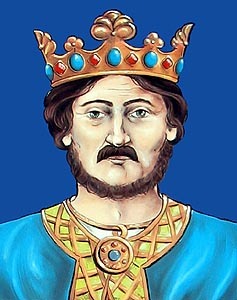 Edward the Confessor was said to have granted the town a market. Although there is not much left of Saxon Winchcombe, parts of the Saxon ramparts are preserved as an earthwork in the land on the southern side of Back Lane. 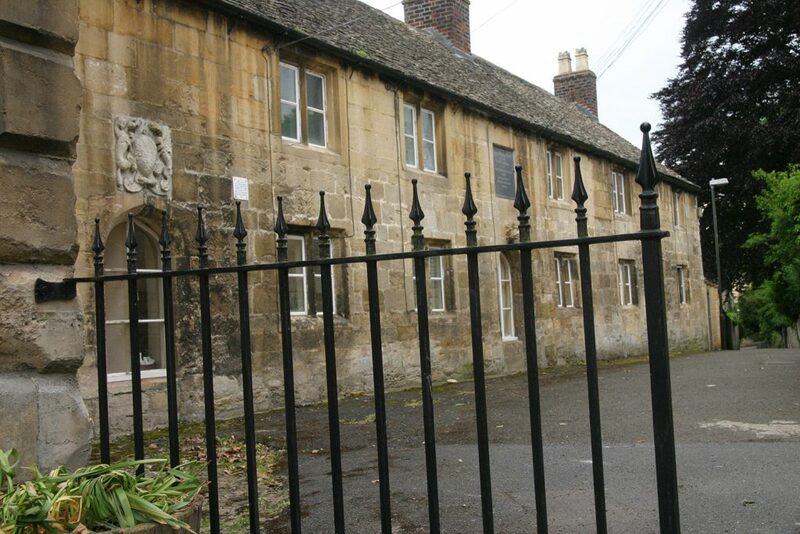 Some of the stones from the demolished Winchcombe Abbey can still be found in the town. 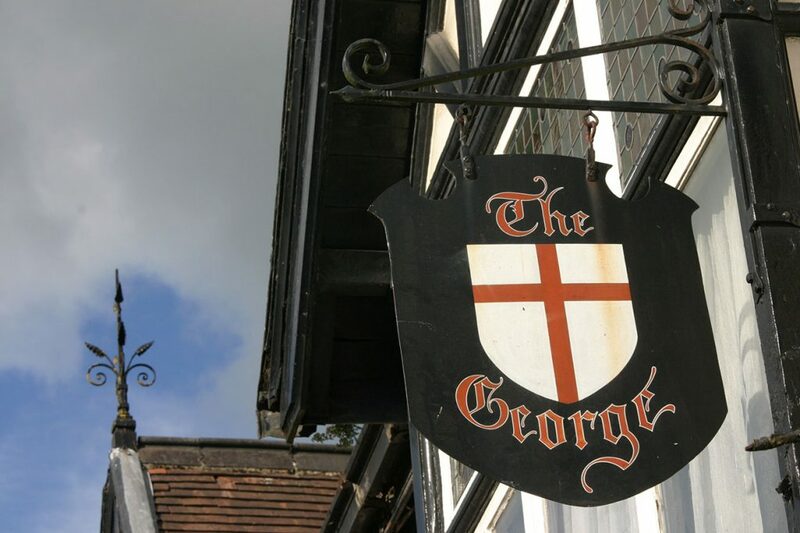 The lintel from the abbey gate now rests above the door of The George, a former High Street coaching inn, now converted into private homes. 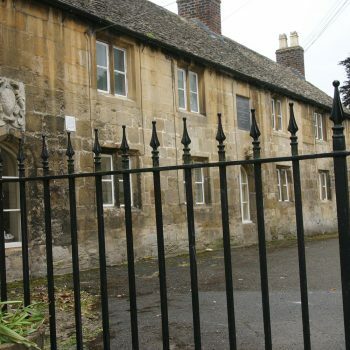 Fragments of the abbey can also still be seen in various locations in Winchcombe, including the Corner Cupboard Inn, in Gloucester Street. A stone cross was erected in the 19th century to mark the centre of the abbey tower and in St Peter’s Church there is a replica wooden model, based on detailed drawings and land surveys, of how the Abbey would have looked. Very little now remains of Winchcombe Abbey, but at its great rival, Hailes Abbey, now owned by English Heritage you can tour the impressive ruins and learn how the Benedictine monks of the area lived. Winchcombe was one of the four Gloucestershire boroughs mentioned in the Domesday Book of 1086. 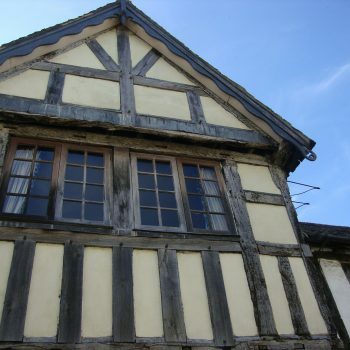 In the following centuries both town and abbey prospered, benefitting from the trade in wool from the surrounding farmland and, increasingly, from the economic benefits brought to the town by pilgrims. 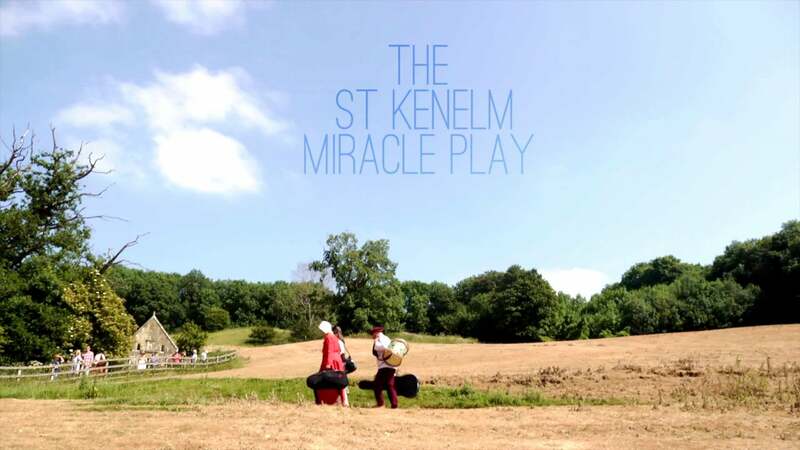 Visitors came to the shrine of Saint Kenelm in the abbey and also to the nearby Cistercian monastery at Hailes, which housed a phial containing what was said to be the blood of Christ. Innkeeping and a trade in pins and other souvenirs made many Winchcombers prosperous. This prosperity is still reflected in St Peter’s church, one of the most impressive of the great late-medieval churches of the Cotswolds. It was built, largely in one go, in the 1460s, with funds partly provided by the town, partly by the Abbey, and partly by Ralph Boteler, lord and builder of nearby Sudeley Castle. St Peter’s is a superb example of the Perpendicular style of architecture. 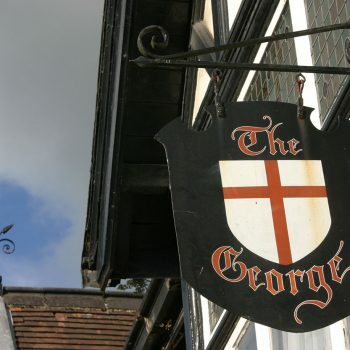 There is also evidence of the innkeeping in the town, where one early inn, the George (now converted to flats) can still be seen. The inn bears the initials of Richard Kidderminster, abbot of Winchcombe from 1488 to 1525, under whom the abbey became a byword for learning. But for all Kidderminster’s fame, his monastery was in decline. 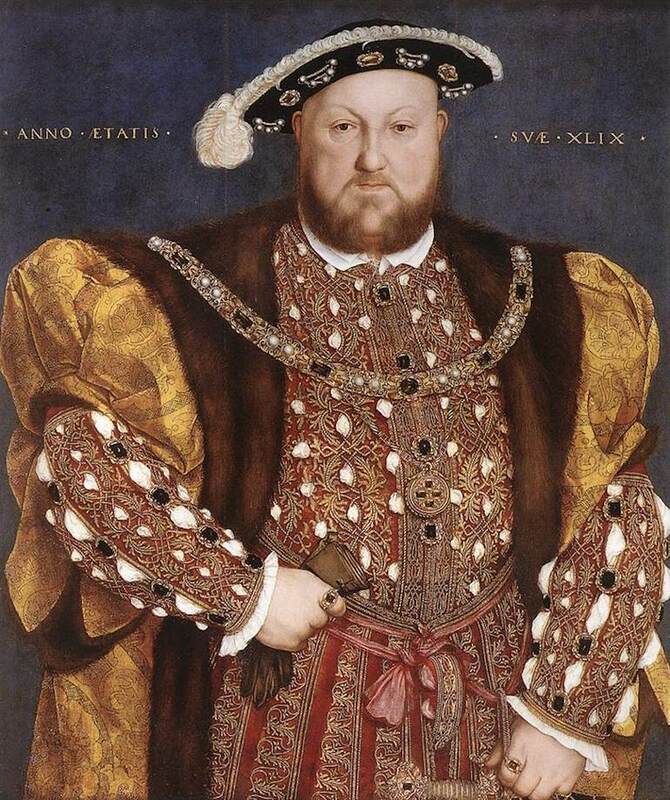 Incomes fell and so did numbers – by the time Henry VIII dissolved the monasteries in 1539 there were only eighteen monks in the abbey. Winchcombe’s decline continued in the Tudor and Stuart periods. In 1575 the town’s burgesses petitioned Queen Elizabeth to grant a second fair and a Tuesday market, for ‘the town [had] fallen into great poverty, ruin, and decay’. The nearby Sudeley Castle, by contrast, had a heyday, being home to the young Princess Elizabeth (later Elizabeth I) and to Henry VIII’s widow, Katherine Parr. 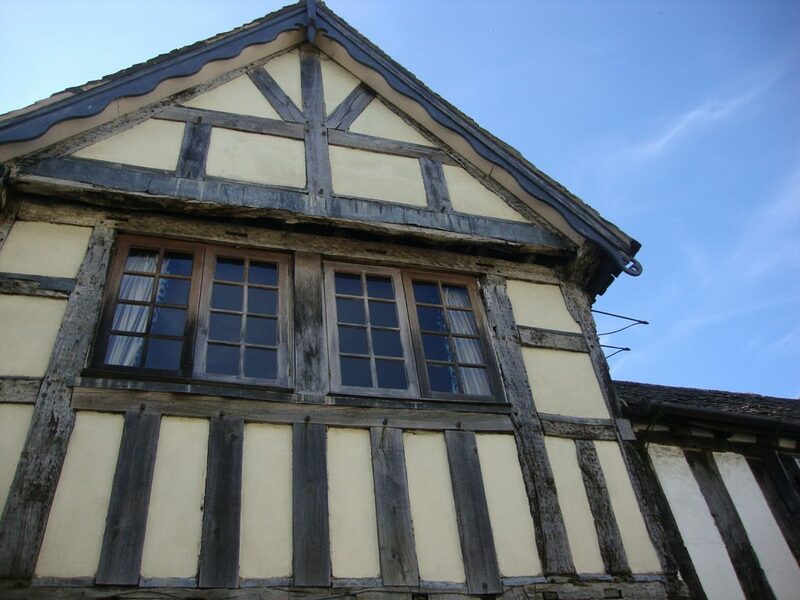 By the early seventeenth century, Winchcombers were growing tobacco and flax to try to scrape a living. When the authorities tried to stop them (there was pressure to bolster the trade with Virginia by importing tobacco from across the Atlantic), the locals refused to give up growing tobacco, defending their land with billhooks and scythes when the militia turned up to try to destroy their crops. The town’s decline meant that there were few new buildings, although two notable exceptions are the Chandos Almshouses (built in 1573) and the Jacobean House in Queen’s Square (built in about 1615–16 as a school). In addition, many existing houses were extended and some had their timber structures replaced with stone. 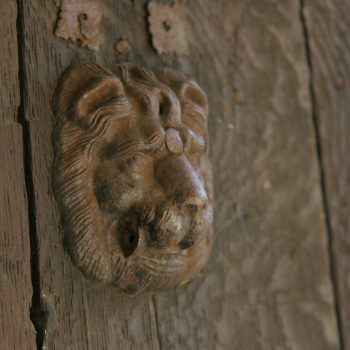 One substantial house that must have been remodelled at this time is the building that is now the Corner Cupboard Inn, whose interior walls contain fragments of medieval carving that look as if they came from the former abbey. 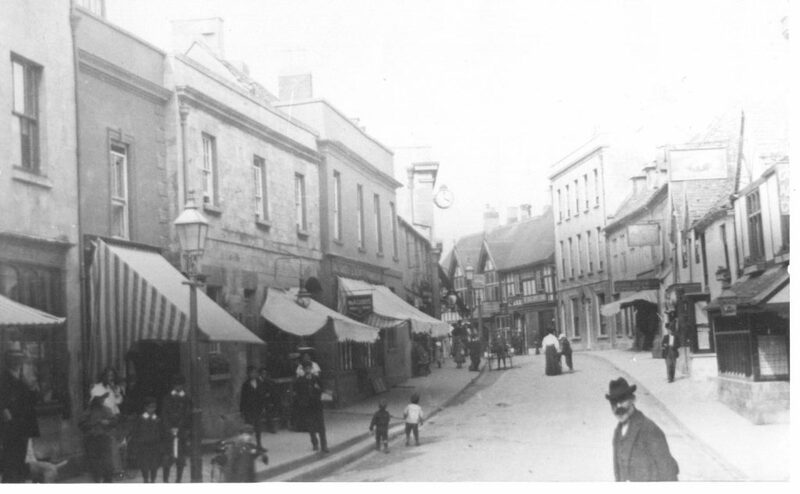 At this time, therefore, the centre of the town must have gained much of its present architectural character, with a variety of houses and other structures that mix the typical local building materials – the timber-framing of the Vale of Evesham and the creamy limestone of the Cotswolds. 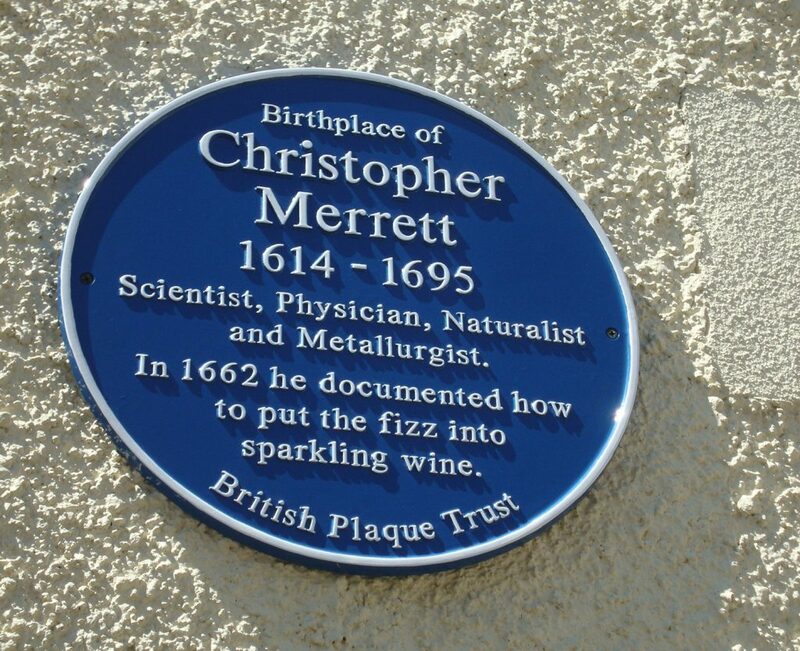 Winchcombe –born Christopher Merrett was a Fellow of the Royal Society, a physician, scientist, naturalist and metallurgist. He was the first person to document the deliberate addition of sugar to wine for the production of sparkling wine in 1662 – more than 30 years before Dom Perignon in circa 1697. Merrett also produced England’s first lists of British birds and butterflies. He was born in Gloucester Street in 1614 and his former home is now marked by a Blue Plaque. He received a BA from Oriel College, Oxford in 1635 and his BMed and DMed from Gloucester Hall in 1636 and 1643 respectively. 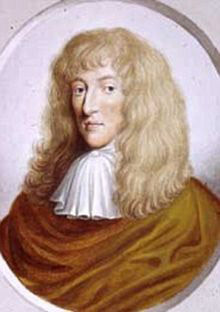 He practiced medicine in London and was working there as the first Harvelian Librarian when the Great Fire of London struck in 1666 and destroyed many rooms and books. Merrett the naturalist was an avid plant collector and compiled one of the first lists of flora, fauna and minerals of England and was the first person to produce a list of the birds and butterflies of England. He was also one of the first Englishmen to state the organic origin of fossils. At the time England’s glass bottle-makers industrialised the process so they became stronger and able to withstand the powers of fermentation – a process the French had yet to master. This enabled English wine-makers to induce secondary fermentation without their bottles exploding – several decades before Dom Perignon is traditionally believed to have invented sparkling wine in Champagne around 1697. 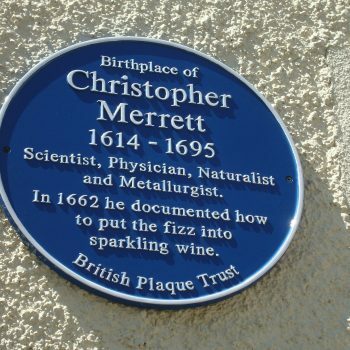 Today the internationally award-winning Ridgeview, an English sparkling wine company, uses Merrett as its trademark in honour of Christopher Merrett. To celebrate his achievement Ridgeview, that has its vineyards at the foot of the South Downs in Sussex, uses a London connection when naming its range of wines – to mark Merrett’s long links with the capital, where he lived and worked for much of his life. He died there in 1695 and was buried at St Andrew’s, Holborn. During the nineteenth century the town began to expand once more. New houses were built on the edges, especially to the north and the southwest. The town’s centre was enhanced with the creation in the 1830s of Abbey Terrace, with its distinctive high walk and market place, and with several building projects sponsored by the Dent family, owners of Sudeley Castle, notably a school (1867, designed by George Gilbert Scott) near St Peter’s church and the almshouses in Dent’s Terrace (1865, by the same architect). 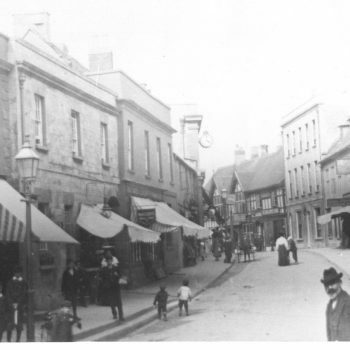 The Victorian period also saw the building of Winchcombe’s Town Hall (1853), in the very middle of the town where High Street and North Street meet. Several of the town’s churches – including the Union Church (now C3 Church) in Gretton Road (1873–8) and the Wesleyan Methodist Church (1884–5) date to this period. St Nicholas Catholic Church was built in 1875–6 as a grammar school (said to be on the site of a medieval church) and converted for worship in 1915. Winchcombe also had to wait for the twentieth century before it was connected to the railway network. The station opened at Greet in 1905 and it is now part of the Gloucestershire Warwickshire Railway, a thriving heritage line. 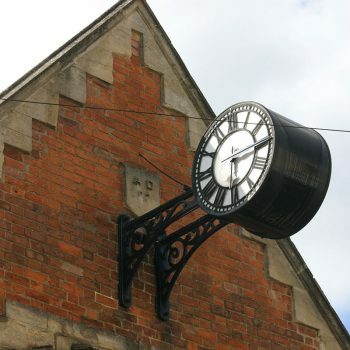 The period between to 1945 present day has seen Winchcombe grow and flourish. Many new housing developments arrived in the 1960s and 1970s which saw the population increase. The town’s largest increase in new homes for many years has come in the last two to three years. Two new major developments on the outskirts of Winchcombe have brought new families and residents to the town, many of whom are actively engaged in community life. Over the years a variety of businesses, shops, restaurants, cafes and pubs have graced the town centre and today it remains a vibrant, unique, working Cotswold town that gives a warm welcome to visitors and new residents alike – just as it did back in medieval times when pilgrims flocked to Winchcombe Abbey. 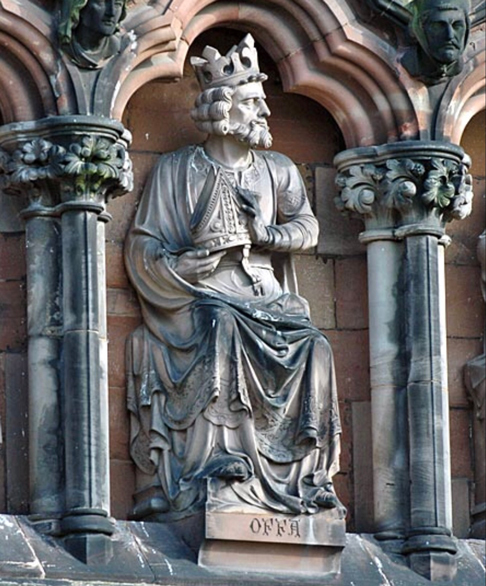 King Offa, King of Mercia from 757 – 796, is thought to have established a convent of nuns at Winchcombe in 787. 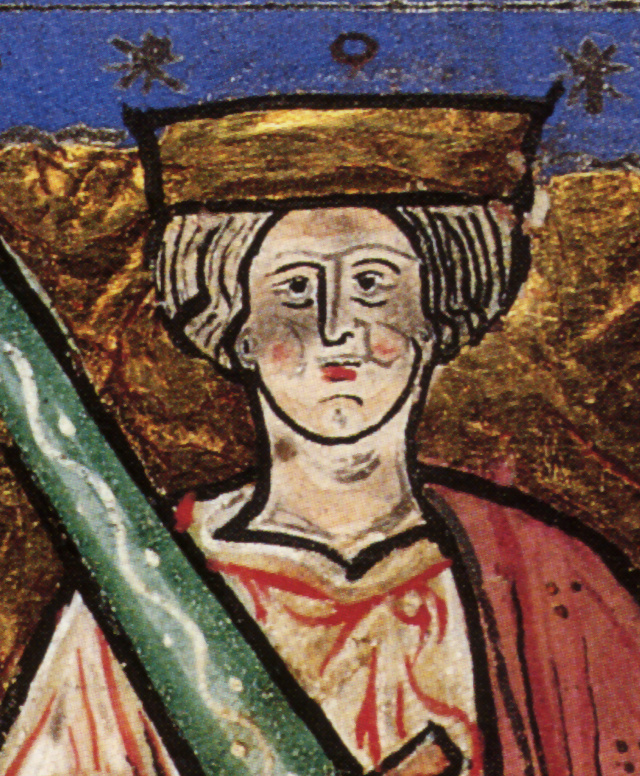 King Kenulf, King of Mercia from 796 – 821. His palace is thought to have been on the site of the former Lloyds Bank, to the east of Abbey Terrace. 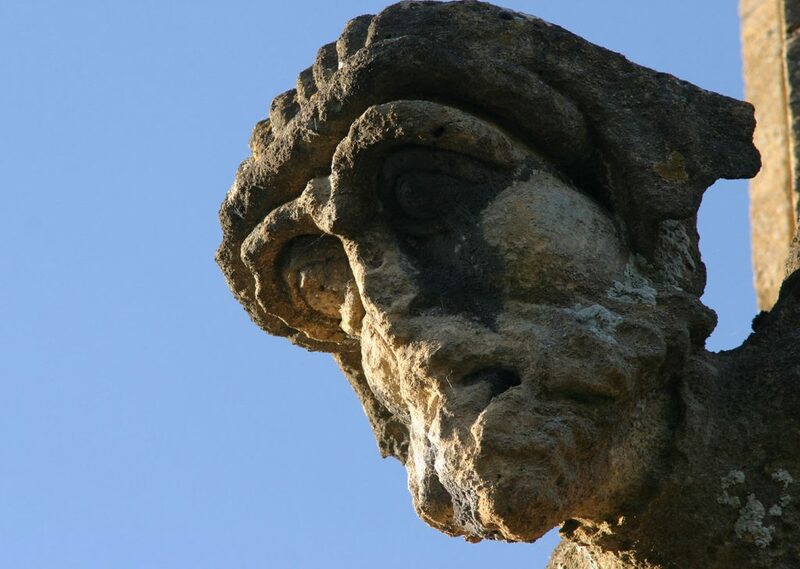 In 811, Winchcombe Abbey was dedicated by Wulfred, Archbishop of Canterbury, in the presence of Cuthred, King of Kent, Sired, King of the East Saxons, as well as all the great men of the kingdom of Mercia. In 942, a ‘witenagemot’ (a national council or parliament) was held at Winchcombe Abbey by King Edmund the Magnificent, attended by Archbishop Wulfstan of York and other bishops and earls. King Ethelred the Unready (978 – 1016) used to hunt here in his royal deer park. In 1144, King Stephen defeated Roger, Earl of Hereford, outside Winchcombe and made the town his headquarters. King John stayed here in 1198, 1207, and 1208. 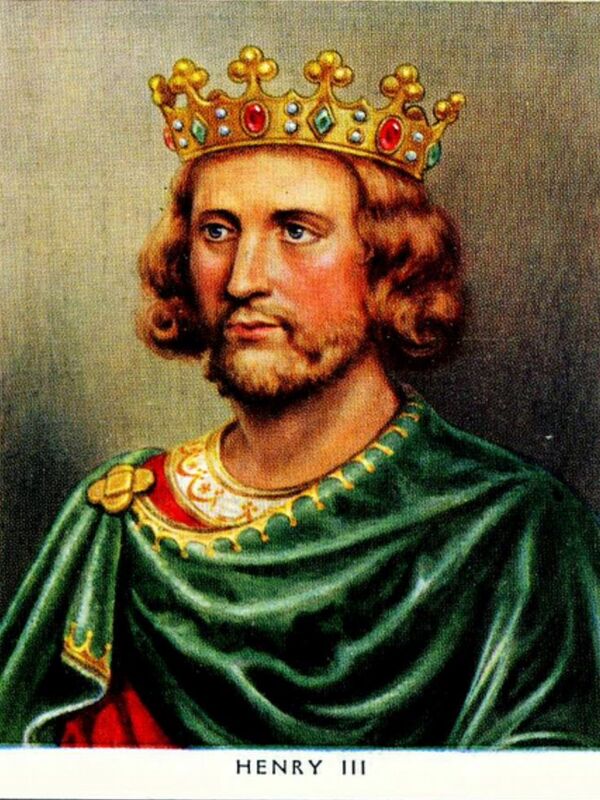 King Henry III paid a visit in 1232. In 1245, he gave the manor of Hailes to his brother, Richard, Earl of Cornwall (later King of the Romans), to build an abbey. In 1251, the dedication of Hailes Abbey was attended by Henry III and Queen Eleanor, as well as a number of earls and bishops. In 1261, Richard’s wife, Sanchia, Queen of the Romans, was buried at Hailes. 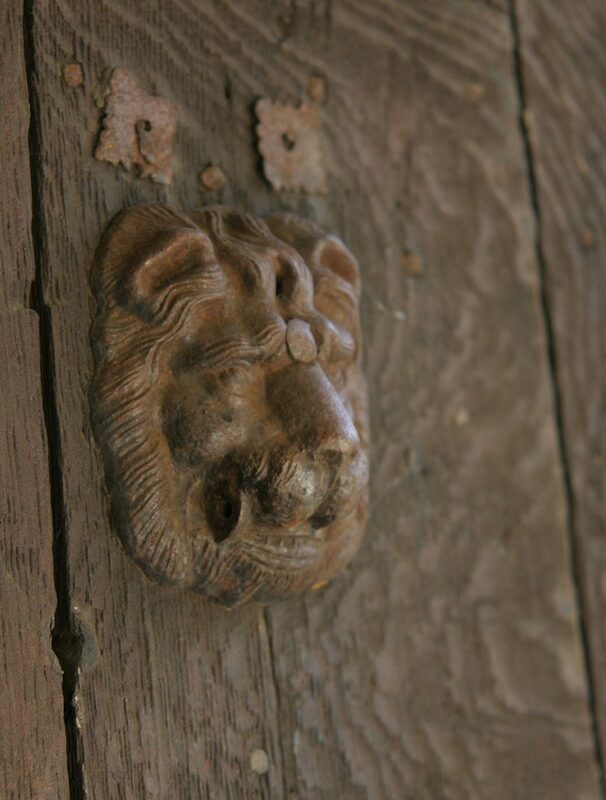 In 1264, Henry III was captured at the Battle of Lewes and kept prisoner on parole in Winchcombe Abbey. He was released by the victory of Evesham. 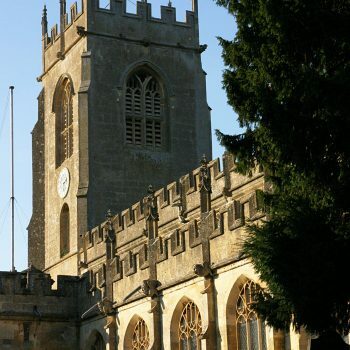 On 12th September 1270, Edmund, Richard’s son, spent the night at Winchcombe Abbey, and, on the following day, the Holy Blood was carried along Puckpit Lane and Rowley Meadow to Hailes Abbey. In 1272, Richard was buried at Hailes. 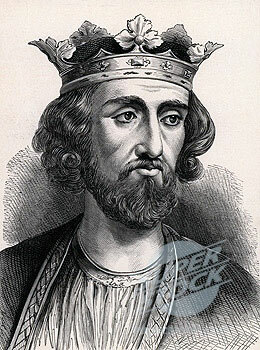 King Edward I visited Winchcombe in 1290, 1294 and 1301. In October 1300, the bones of Richard’s son, Edmund, were brought to Winchcombe Abbey to await burial at Hailes. In April 1301, Edmund was buried at Hailes, in the presence of King Edward I and Queen Margaret. They stayed in Winchcombe and accompanied the funeral procession from Winchcombe to Hailes along the Salt Way. The service was conducted by the Archbishop of Canterbury and three bishops. King Edward III visited in 1327. August 26th, 1461, King Edward IV was in Winchcombe. 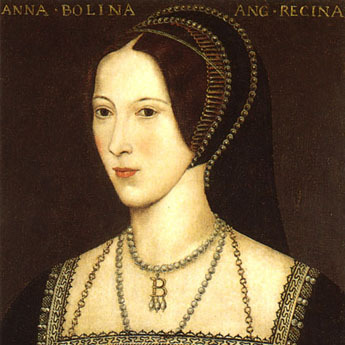 July 1535, Henry VIII and Anne Boleyn visited Sudeley Castle. Queen Catherine Parr lived at Sudeley after her marriage to Sir Thomas Seymour in 1547 until her death in September 1548. She is buried in St Mary’s Church at Sudeley. While she lived there, Princess Elizabeth and Lady Jane Grey both stayed with her. Lady Jane Grey (the Nine Days Queen) was chief mourner at Catherine’s funeral. During the Civil War, Prince Rupert, nephew to King Charles, made Sudeley his headquarters. King Charles I visited in September 1643 and July 1644. George III visited Sudeley several times while taking the waters in Cheltenham. 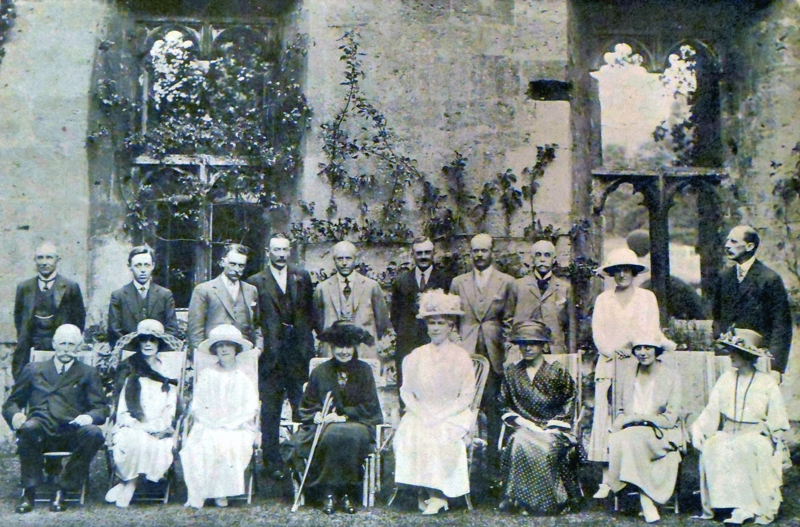 1922 Queen Mary motored through Cheltenham and Winchcombe to visit Sudeley Castle, where she lunched with Mr & Mrs H Dent Brocklehurst, inspecting the castle and grounds. A tale of jealousy, murder and miracle during the Saxon period, about the 7 year old boy King of Mercia and his sister, Quendryda.